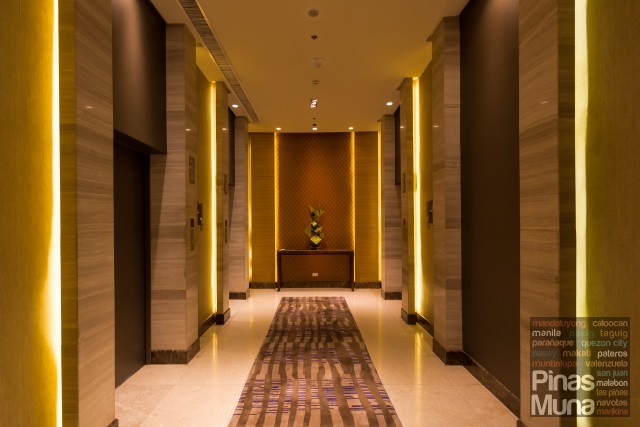 Holiday Inn & Suites Makati (马卡蒂套房假日酒店) is a mid-range hotel with 348 guest rooms and suites located at Ayala Center, Makati Central Business District. 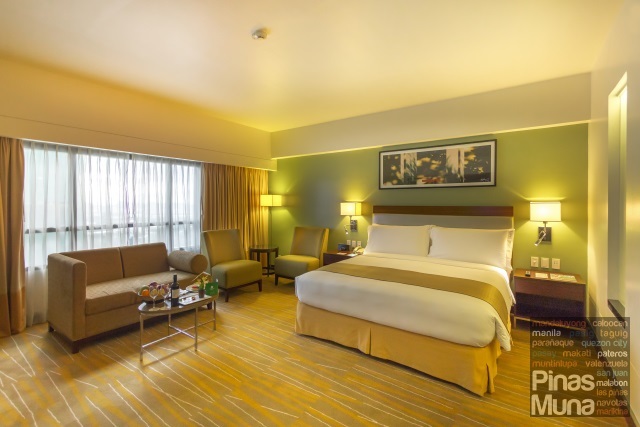 It primarily serves as a business hotel during weekdays, while on weekends, Holiday Inn & Suites Makati is an urban haven for friends and families who wish to have a relaxing staycation. Guests also enjoy direct access to Glorietta Mall housing a number of shopping, dining and leisure establishments. Checking-in at the hotel is no easy task, especially when you have a luggage full of clothes for a week-long business trip, or when you have kids with you. 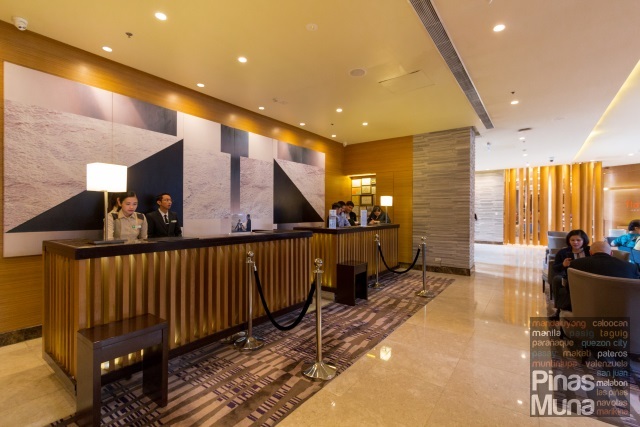 Checking-in at Holiday Inn & Suites Makati is made effortless by the efficient and helpful front office receptionists of the hotel. We were warmly greeted and were quickly assisted with our bags. Guests checking-in at the hotel are also offered free membership to the IHG Rewards Club loyalty program. Signing-up comes with two welcome drinks of juice, coffee or tea. Children staying with their parents will also receive Kinder Joy chocolates. Guests planning to stay at Holiday Inn & Suites Makati has four guestroom categories and three suite categories to choose from. 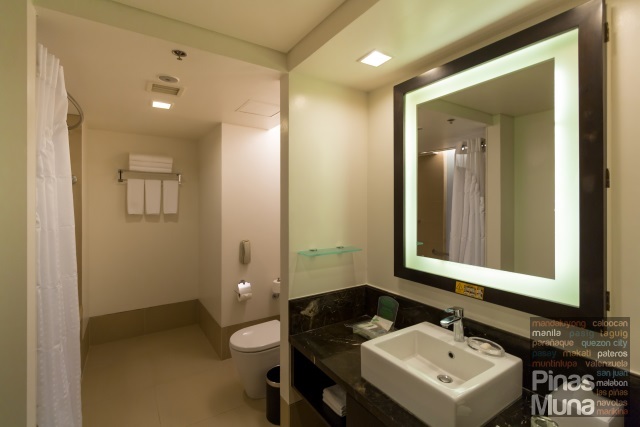 The Corner Suite is the lead-in suite category of Holiday Inn & Suites Makati. Commonly categorized as a junior suite in terms of room layout, the Corner Suite is basically a spacious bedroom with an integrated living area. personalized check-in and check-out service. Guests staying at Holiday Inn & Suites Makati have a total of three dining outlets to enjoy within the comfort of the hotel. 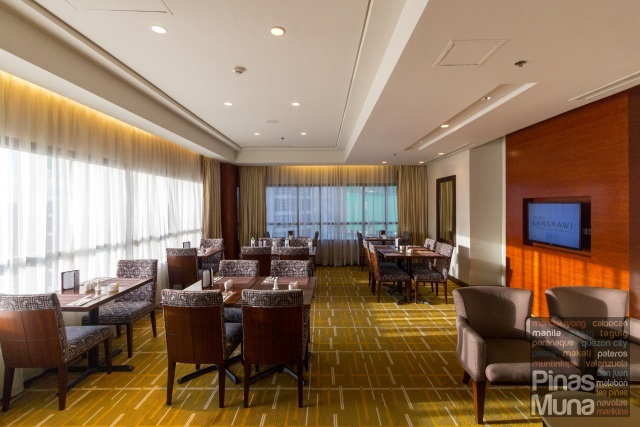 Holiday Inn & Suites Makati also welcomes walk-in guests from nearby offices as well as families and friends who are looking for restaurant to celebrate over local and international cuisines. 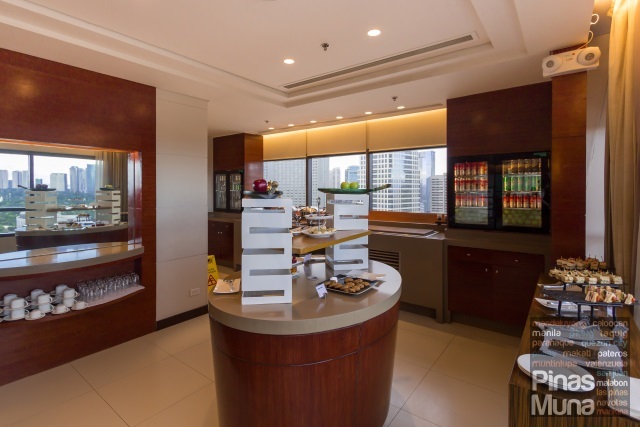 Guests staying at Holiday Inn & Suites Makati have a variety of option to start their day with breakfast. Whether you are looking for light or heavy breakfast, in a hurry or feeling lazy, the hotel can ensure that you have a fulfilling breakfast. 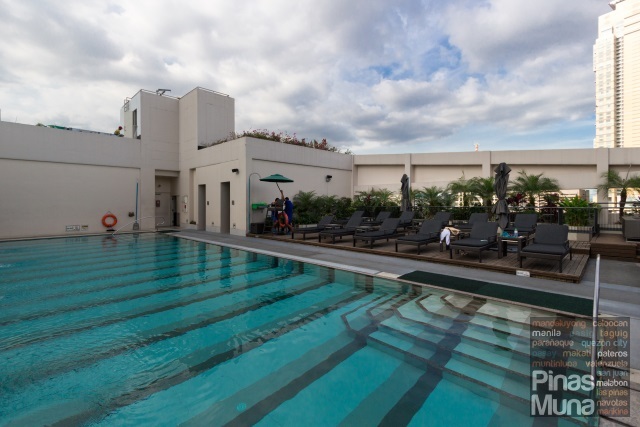 After breakfast, guests can spend the rest of the morning at the roof deck swimming pool area. It is designed with plant boxes, unglazed non-slip tiles and additional floor mats for safety. Lifeguards on duty were very attentive. There is also a 24-hour fitness center for guests who wish to keep fit while on a business or leisure travel. 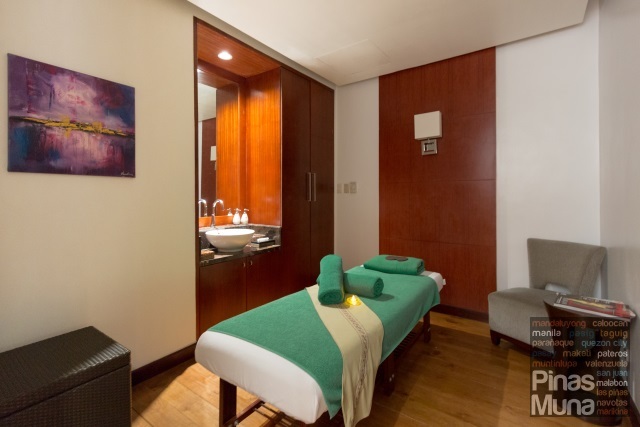 The best way to end a business trip or a staycation in Makati is to have a relaxing massage at the in-house spa. Guests can choose from a variety of body and facial treatment as well as soothing massage packages. The spa also has a sauna which guests can use free-of-charge during their stay. 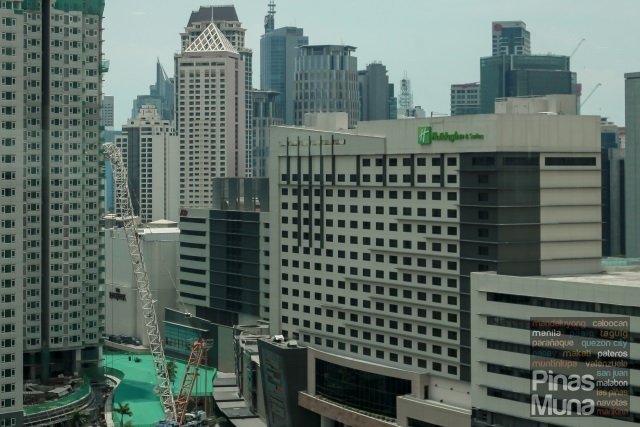 Overall, Holiday Inn & Suites Makati is one of our most recommended hotels in the Makati Central Business District. It is ideal for business travelers looking for a value for money accommodation also for domestic travelers looking for a place to stay in Makati when visiting embassies and consular offices in Makati. 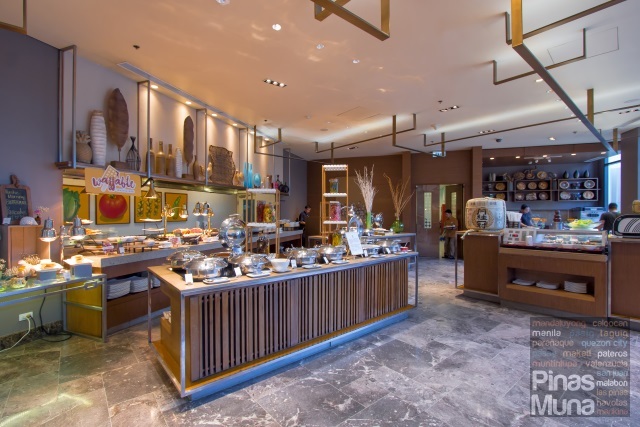 It is also one of the most child-friendly hotels in Makati, making it an ideal staycation hotel for families. 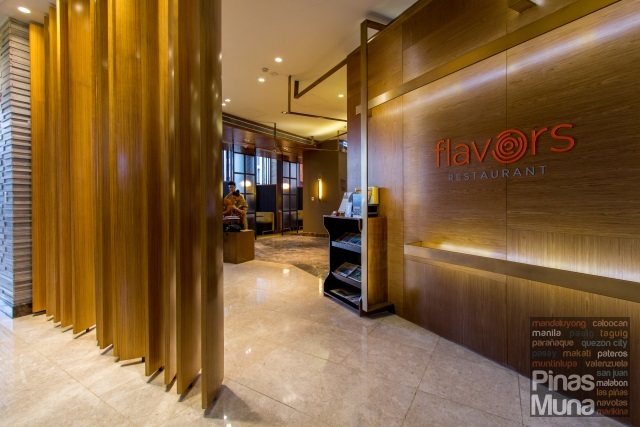 Finally, Flavors Restaurant is reason enough for you to visit Holiday Inn & Suites Makati. 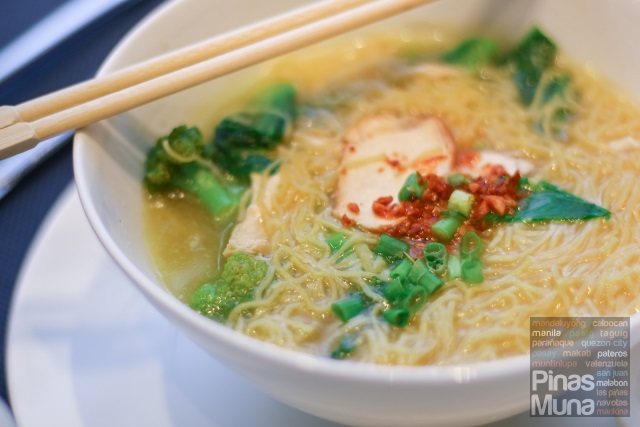 It has one of the most affordable buffets in Makati that serves good quality Filipino and international cuisines.